Click below to download NET VITALS. LACNETS created NET VITALS as a quick snapshot of the most important questions for patients and healthcare professionals to know about neuroendocrine cancer. NET VITALS is a 20-question tool designed to highlight the vitals of NET cancer, all in one document. This allows the physician and patient to more easily communicate with all of the basics in one place. Think of NET VITALS as your NET passport. NET VITALS is a downloadable form which can be printed and filled out OR completed as a PDF on a computer. It helps with record-keeping and prompts for scan image disks and reports. NET VITALS is a tool for you to bring to your medical appointments. LACNETS thanks Dr. Dan Li at City of Hope for being our Medical Advisor on NET VITALS. Our goal is that NET VITALS will help patients and providers by empowering patients and improving patient-provider communication. Are you newly diagnosed and want to learn the most important ‘vitals’ about your neuroendocrine cancer? NET VITALS is a guide to biomarkers, terminology and most common procedures and treatments. In just 20 questions, the patient and their family can learn about what the ‘vitals’ are in neuroendocrine cancer. It is not expected that the patient will be familiar with all of these terms, or know all of the answers. NET VITALS provides a working document for the patient to understand key vocabulary about their disease and a way to keep track of their status. NET VITALS helps the patient keep current on their disease status and more easily communicate with their physician. NET VITALS can be particularly helpful when seeing a new doctor as part of the multi-disciplinary team or seeking a 2nd opinion. It’s a shortcut to communicate the patient’s disease status in a ‘snapshot’ and all in one place. Helps you prepare for your NET specialist appointment. Helps you understand your disease and how this information relates to you. Helps you get organized by compiling the information and records for your upcoming appointment with your NET specialist. Clarifies questions you have for your doctor(s). Helps make your upcoming appointment more efficient. Watch the NET VITALS Webinar now! I remember quite vividly how overwhelmed I felt when my husband was abruptly and traumatically diagnosed with neuroendocrine tumor. Not only were we dealing with the emotional impact of the news, we were overwhelmed with the amount of information we needed to learn about this rare disease. Navigating the NET journey involves much learning as well as seeking the opinion of NET experts. The patient would become more familiar with their own disease through the process of filling out the worksheet. The NET expert would have a concise document with the most important information about the person’s disease (i.e. “vitals” as in “vital signs”). 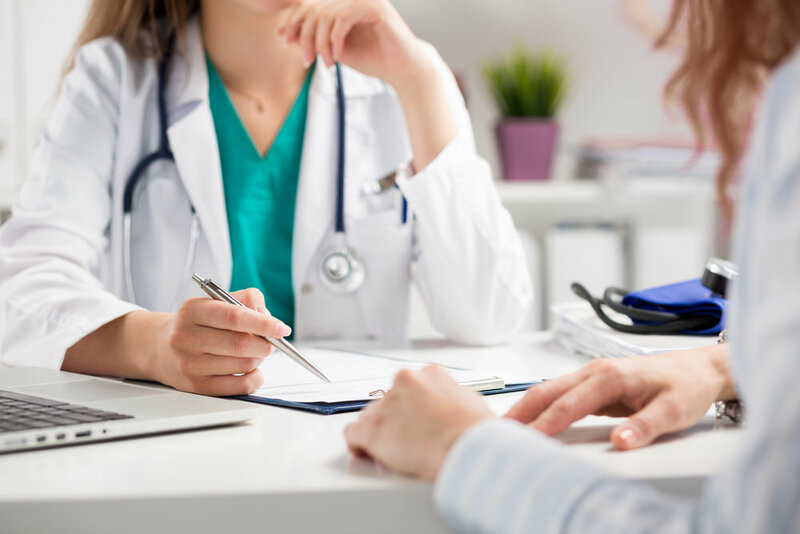 The hope was that this would minimize issues with patients coming to see the experts with incomplete information as well as increase the patient’s knowledge and confidence before the appointment. The result would be a more efficient appointment with the NET expert with more time spent discussing the treatment plan. While this document may feel daunting, the intent is not for it to be filled out easily nor all at one time. Take a few breaths. Break it into chunks. Do a bit at a time. It is understandable that through the process of filling it out, you will have to go and dig through your records. You will discover words that you may not know and need to look them up through the resource links. You will leave some areas blank to discuss further with your doctor. In April 2018, LACNETS first introduced the NET VITALS tool in a LACNETS workshop. Its first official use was the LACNETS Annual Patient Education Conference on May 19, 2018. It continues to be a work in progress. Our hope is to help both patient and providers with this tool that will empower patients and improve patient-provider communication. How can NET VITALS help? How do I fill out NET VITALS? Watch the NET VITALS Webinar! NOTE: NET VITALS is a document for personal use only. It is not submitted nor collected. It is a document for you to print and fill out on your own. It is for you to take with you to your physician appointment. This document is intended for informational and educational purposes only and is not a substitute for professional medical advice. Always consult with your physician or health care provider.